These are Egg McMuffins that aren’t IN a muffin, but in the SHAPE of a muffin! I had made pizza the night before and didn’t need all of the sausage, onions or peppers that I had sauted. I knew I’d be able to use them for breakfast, but I wanted to come up with something a little different. My kids like eggs, thankfully, but they don’t always want them in the same form. I also knew they wouldn’t eat the sausage and veggies plain as a side, crazy I know! So I just put the sausage and veggies on the bottom of a muffin tin, and then cracked an egg on top and threw it in the oven… that simple! 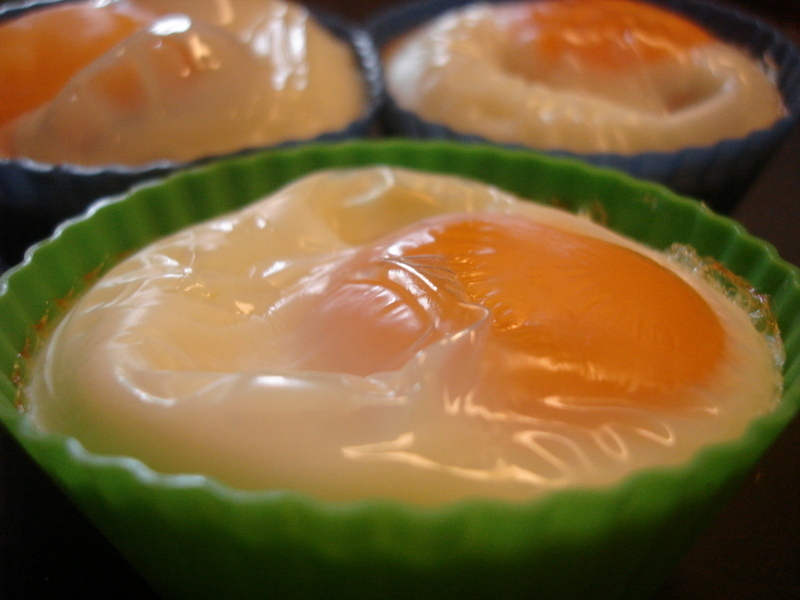 I just baked them until the eggs were the doneness that was requested… runny, soft or hard! They turned out great. Not only that, but they didn’t make as much of a mess eating them either. I have some [amazon_link id=”B001ET7B9Y” target=”_blank” container=”” container_class=”” ]silicone muffin wrappers[/amazon_link] which is one of the best purchases I’ve ever made. I DETEST cleaning muffin tins for some reason and I dislike greasing them even more! I also don’t like all the added “stuff” in the spray oils so I don’t purchase them, which would have made it much easier as I hear they work very well. In general the cups aren’t that hard to clean when I’ve made muffins in them and the grain free muffins all come out of the cups much easier than the muffin trays. These eggs were a little harder to clean, but they came out just fine. Now I have a great way to take meat and eggs with us if we have to run out of the house early one morning! I’ve done hard boiled eggs fro that before, but they just make a mess when the kids are eating them and little pieces of yellow all over the floor! Just as an aside I didn’t make the same for Aisling, but she can have egg yolks, so I just put two egg yolks over the meat and veggies and cooked it the same way. She ate it all and loved it as well! I will definitely be making these more often. They look fun, taste good, travel well and are a hit… what more could you want?! Next So What’s Wrong with Sugar? totally going to need to look for those silicone muffin wrappers, I just made these the other day (http://www.kalynskitchen.com/2006/10/egg-muffins-revisited-again.html) which were yummy, same concept, and yes, cleaning the tin was a pain & the paper wrappers are sticking! Those look yummy too! We may be doing that next!!! OMG they look delicious! How long do you bake them, and at what temp? oops! I guess I did leave that out! 😉 I put the oven at 350 and just baked until they looked done. Some of the kids wanted them runny, others hard or soft, so it depended on how long I left them in. I would say about 15 – 20 minutes or something like that! Enjoy! Such a creative idea! Sometimes it’s so hard to find healthy food (besides fruits and veggies) that travels well.